Not all signatures are created equal. In fact, signatures (autographs) and inscriptions fall into a few different categories. Here's a brief overview. For more detailed information on signatures and signed books, check out this post. If a book is inscribed, it is personalized and addressed to a specific person. If the person isn't closely associated with the author, the inscription often isn't considered to have much of an impact on the a book's value. Of course, only an authentic signature has value. Experts certify that a signature or inscription is authentic by comparing the handwriting to other known samples of the author's writing. 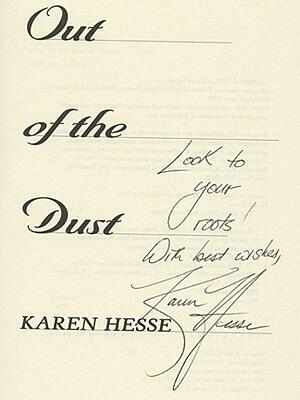 The authenticity of signed books and signatures in particular is the number one element of the trust a reputable seller of autographed books is hoping to establish and maintain with their customers. Can you truly "certify" a signature? Only if you have seen the author sign the book, and if you never let the book out of your sight. If you just see the signature, you can't...nobody can. You can rule out fakes but cannot do the opposite. You can only confirm that it is highly likely for a signature to be authentic by comparing it with existing signatures. What Is Provenance and Why Is It Important? Investigating and thoroughly documenting a book's provenance doesn't just protect you from buying fakes. A rare book's provenance also significantly impacts its value. The more certain the book's provenance, the more it can be worth in the rare book market. Meanwhile, if a previous owner had special status (then making the book an association copy) that is well documented, that can also add to a book's value. Ultimately the most important tool you have to protect yourself is your own common sense. If you have questions or concerns about a rare book's provenance or a signed book, ask the seller. After all, reputable dealers aren't in the business for single sales; they want to build lasting relationships with their clients. For a number of signatures available for comparison purposes, see our collection of reference autographs and signatures.